A unique way to record your journey amongst your special photo moments. Inside pages printed on 90gsm Bond with image pages printed on 148gsm Matt. The notebook is Wiro bound with plastic Plyplak covers for ultra protection. A Plypak page divider is included. 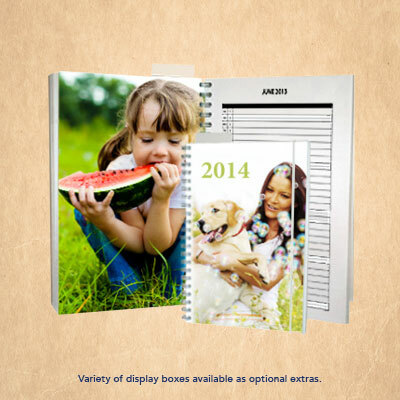 Create a notebook that allows you to carry your memories around with you. There are 14 pages of personal pics spread throughout the notebook. Inside pages printed on 90gsm Bond with image pages printed on 148gsm Matt. The notebook is Wiro bound with plastic Plyplak covers for ultra protection. 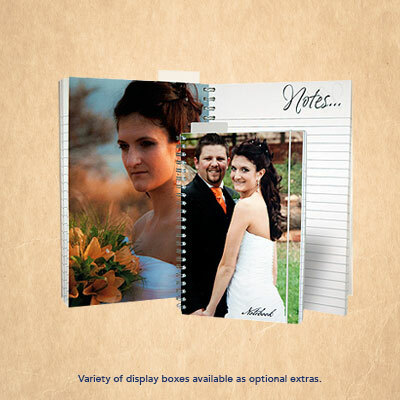 A Plypak page divider is included. 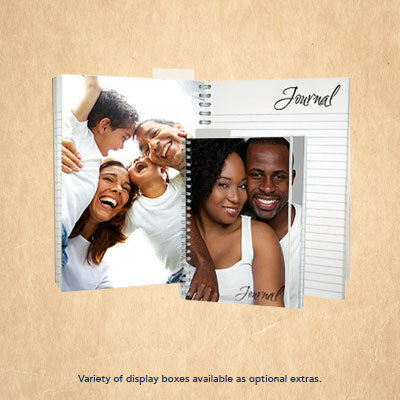 A great way to share your favourite moments with family and friends across the world. Printed on 300gsm Matt with Gloss UV varnish on one side. 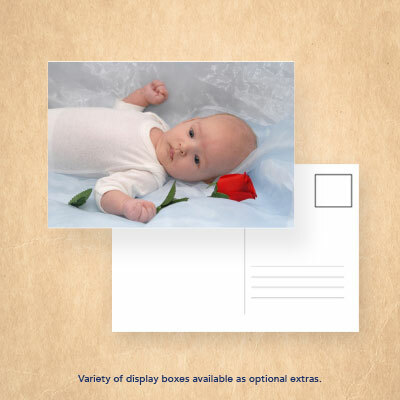 16 Personalised postcards per order. Available in: 154mm x 111mm.